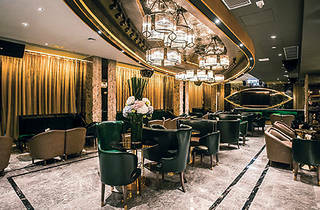 The new openings keep coming at the beacon of hip that is Lan Kwai Fong’s California Tower. 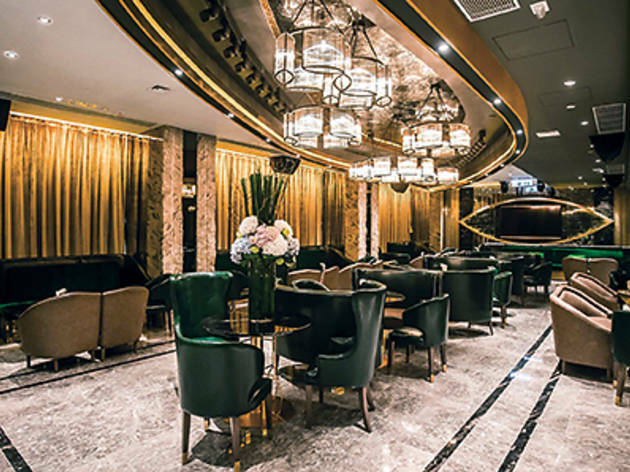 Mirroring the concept of Cé la Vi 25 floors up, Fovea combines one floor of club space with another dedicated to fancy dining. In this instance, it’s high-end Chinese fare. The fovea is the biological term for the pit of the eye where the cones are packed together. The club and restaurant is named so because the group is hoping to bring a new perspective to town. Thus, for better or worse, the eye is the theme of the restaurant, which explains the slightly creepy Big Brother-style eye-shaped frame around the large TV screen. Even if you’re acquainted with the theme, finding yourself among light fixtures and subtle patterns all featuring ocular undertones, you can’t help but feel a little weirded out. Despite that, what catches our eye on the á la carte menu (currently only in Chinese) are the white truffle stir-fried scallops ($230), which we eagerly dig in to at the beginning our meal. The shellfish are sizeable, seared to perfection and lying on a classic bed of asparagus. Though the dish is well seasoned, we find the fragrance of the truffle somewhat elusive. Next up arrives the tea-smoked duck ($230 for half a duck), pressed with cuttlefish paste and deep-fried with an outer layer of sesame. This is often a tricky item to execute, since the cooking times of the ingredients vary and the thickness of the duck and mollusc must in the correct ratio. It proves no trouble for the Fovea chefs, who dish up an expertly made version where each bite is a good balance of smoky game alongside the buoyant texture of the cuttlefish. As a filler, we select Angus beef stir-fried knife noodles ($230). The thick-cut slices of beef are skillfully cooked, arriving with a slightly pink centre, while the knife noodles, with their signature thin pleating on the edges, hold the sauce well. Combined, it’s a most satisfying dish in itself. It’s a bit out of the ordinary to chow down on some sweet and sour pork before you party at a club. But this is Hong Kong, where anything can happen, and the Chinese cuisine at Fovea is skillfully prepared with premium ingredients. If you can set aside any scopophobic tendencies and grab a seat, the food is actually rather worthwhile.